DEOS Group is a business which prides itself on its family atmosphere. Launched 40 years ago by David and Eileen Smith, the pair later sold the business to their son Matt – now the group MD; Matt’s own son, Callum, has since joined. The average length of service within DEOS Group is an astonishing 16 years, thanks to the way the business cares for its people, and there are certainly no plans to change that, regardless of how much cash the business could save. Two years ago DEOS Group was approached by a cost-reduction consultant who claimed they could make the company more profitable by outsourcing the call centre service – something that would save around £55,000 per year. For MD Nick Munton, and the rest of the managerial team, the response to this idea was a no-brainer. This sense of value and caring led to a natural move towards sustainability. DEOS Group made its first steps in, not just becoming more green, but helping other companies to do so in 2008 when it poured £200,000 into its Green Office venture. Unfortunately, the business immediately hit a sizeable snag – the market crashed and recession cut-backs hit hard. The Green Office was asking for a higher price for paper because of its sustainability credentials at a time when customers were slashing budgets and Nick admits that DEOS Group had to wonder if launching the Green Office was the worst decision it could have made. The message of Green Office remains a challenging one to communicate. “Sometimes it feels like we’re pushing water uphill,” Nick says, but it now receives 100% more attention than it did even as recently as two years ago. 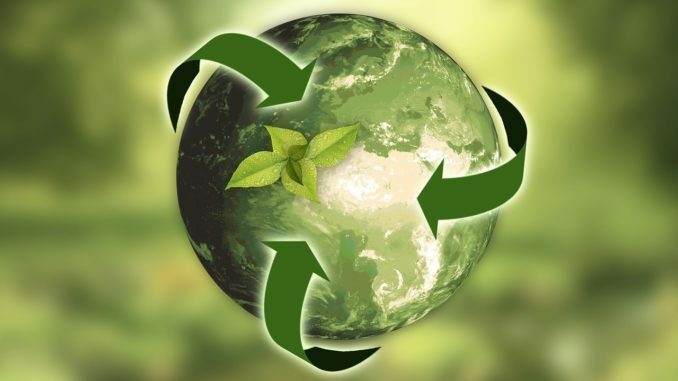 The business receives daily enquiries from businesses wanting to become greener and needing guidance on the subject and, while DEOS Group markets its sustainability offerings through Google adverts, the business deliberately keeps Green Office reasonably quiet in order to attract the right client. Nick wants customers who are specifically looking for green solutions when they find Green Office and now the business has expanded into products which affect the environment much more seriously: hardware. Carbon Neutral Printers simply exemplifies the right thing to do, according to Nick. It takes the idea of the Green Office a stage further; it was given a year’s strategy before DEOS made the move, but the business was confident that it had the correct partners to successfully launch. Unlike with Green Office, Carbon Neutral Printers more easily and clearly prove that cost reductions – alongside a more sustainable impact – can be made and, as such, the venture has enjoyed a far more positive initial two years than Green Office did. It’s not just planet-friendly stationery and hardware that DEOS Group offers through its sustainability ventures, but a greener service in general. Concerned at the size of the company’s carbon footprint, Nick gathered together 10 top Green Office and Carbon Neutral Printers customers who were all based in London and proposed the idea that they all have their orders delivered only on a Friday; this is better for the environment, cheaper for DEOS Group and actually enables customers to be a little more organised. Nick pitched the concept to his own logistics team first, who were outspoken about the belief that it wouldn’t work but, to Nick’s pleasant surprise, seven of the 10 businesses agreed. Nick would even prefer that businesses demanding a tiny quantity of product the next day go to their local high street and support a small business, rather than having a driver add to the pollution problem by making an unnecessary trip. Thankfully, he has every belief that the shift towards greater acceptance of environmentally-friendly hardware and office products is one that will come naturally as younger people step up and the old guard retires. Green Office and Carbon Neutral Printers act as excellent educational tools and give Nick and his team the chance to share their own knowledge. Nick is the first to admit that his younger colleagues have taught him a great deal about environmental issues too, and that their feedback when he initially pitched the idea of making machines greener with Carbon Neutral Printers was overwhelming.